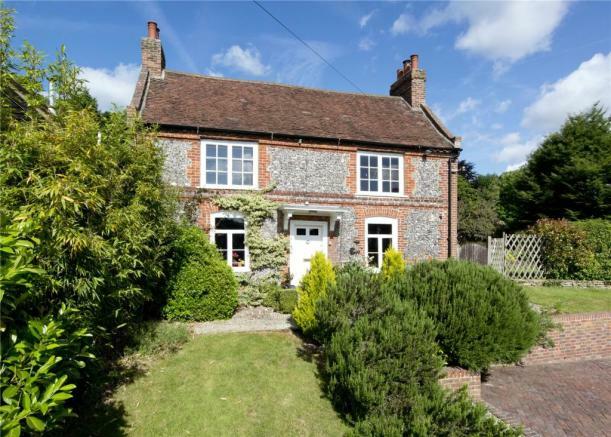 Hampton Court House is set in an elevated position overlooking the Darenth Valley and located within Farningham village which has a post office, butchers and local shops. Comprehensive Shopping: Swanley (3 miles), Sevenoaks (14 miles), Bluewater Shopping Centre (8 miles). Mainline Rail Services: Swanley, Eynsford and Farningham Road to London Victoria. Sevenoaks to Charing Cross/Cannon Street, Waterloo and London Bridge. Ebbsfleet International Station (9.7 miles) to London St Pancras and Paris. Nursery and Primary Schools: Farningham, Eynsford, Shoreham and Otford. Grammar Schools: Dartford, Tonbridge Girls and Judd Boys Grammar schools in Tonbridge. Public Schools. Sevenoaks, Solefields and New Beacon Preparatory Schools in Sevenoaks. St Michaels and Russell House Preparatory Schools in Otford. Radnor House in Sundridge. Communications: The M25 junction 3 is two miles away and provides access to London, Dartford Tunnel, Gatwick, Stansted and Heathrow airports. The A2 provides access into central London and to the O2 arena in Greenwich as well as to Ebbsfleet International Station with its high speed rail links into Central London and into Europe. Hampton Court House is a distinctive Grade II Listed property dating from the 18th Century with a later extension. The house provides well proportioned and versatile accommodation arranged over two floors together with a cellar. Features include attractive fireplaces, wooden flooring and casement windows, some of which have shutters. 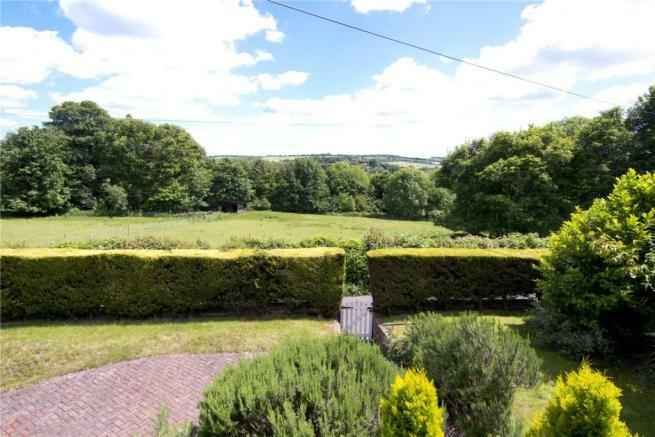 The mature gardens provide an attractive backdrop, and there are far reaching views to the front towards the Darenth Valley. Also of note is the benefit of off road parking for a number of cars and a double garage. courtyard garden. 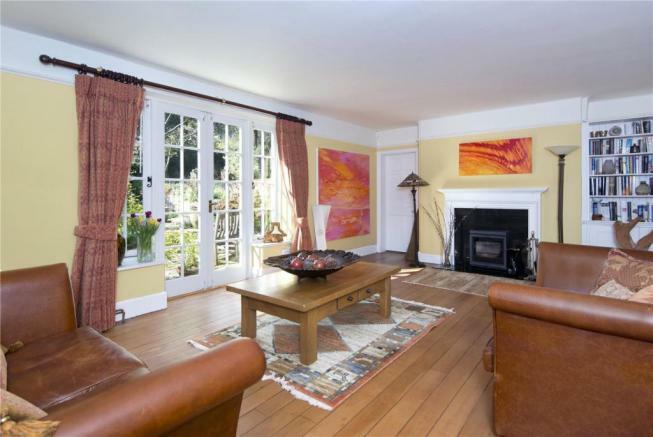 The family room also has direct access to the garden and both these rooms have fireplaces. 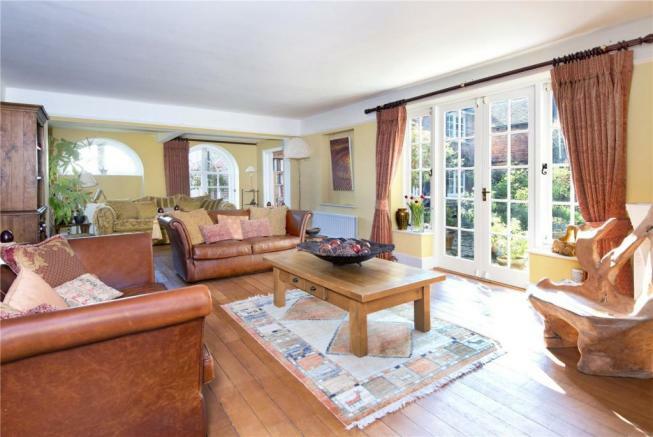 The sitting room is double aspect and all four reception rooms provide excellent entertainment areas. The well proportioned triple aspect kitchen/breakfast room is fitted with bespoke range of wall and floor cupboards with granite work surfaces, a dresser style unit and a matching central island. 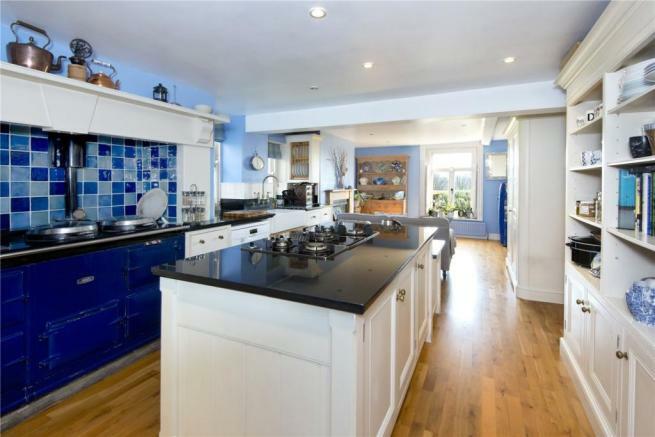 Appliances include a four oven Aga, a 5 ring gas hob, integrated microwave, dishwasher and fridge. 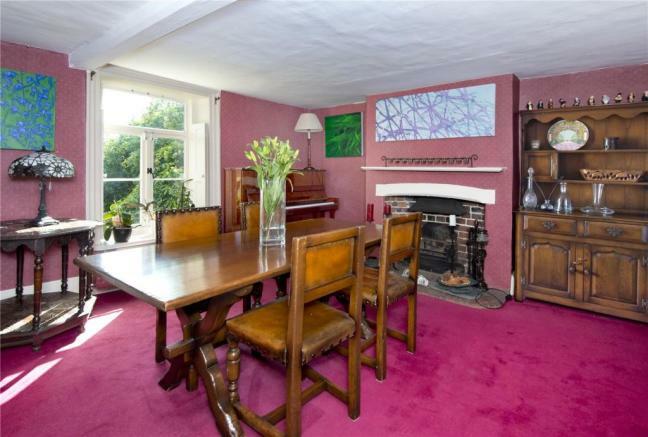 This room is ideal for informal family living and has views to the front. 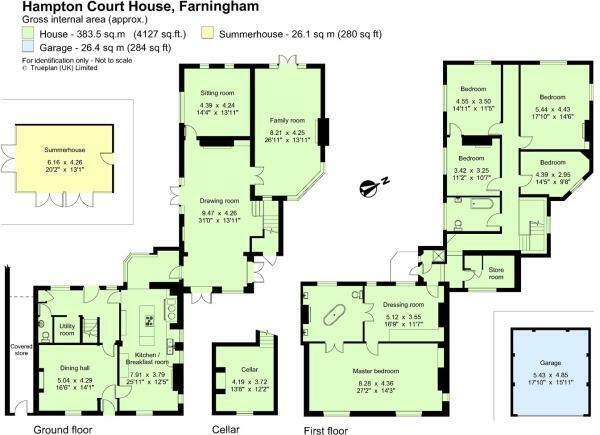 There is a rear hall with flagstone flooring and provides access to a cellar, utility room (with space for various white goods) and a separate cloakroom. There is also a door to the charming courtyard garden. Located on the first floor is an impressive master suite comprising a spacious bedroom with far reaching views and a fireplace with duck nest grate, a dressing room with wardrobes and an en suite bathroom featuring a roll top bath. 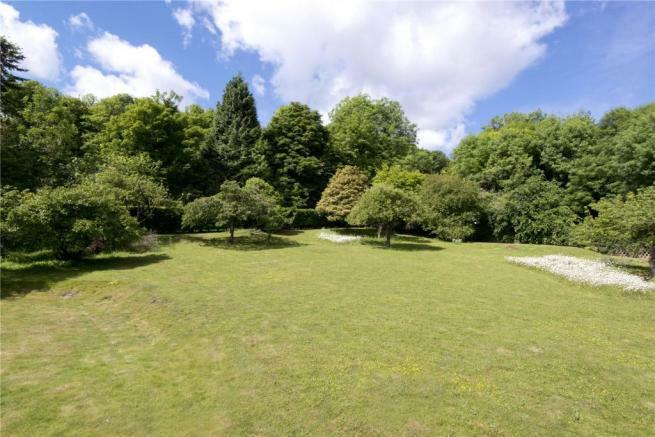 There are four further double bedrooms all with attractive views over the garden. A family bathroom features a roll top bath and there is a separate shower room and store room with fitted wardrobe cupboards. The house is approached over a herringbone drive, set behind a pair of electrically operated gates which provides off road parking. There is a detached garage with electric up and over doors and power and light connected to the front of these gates and a further parking area. 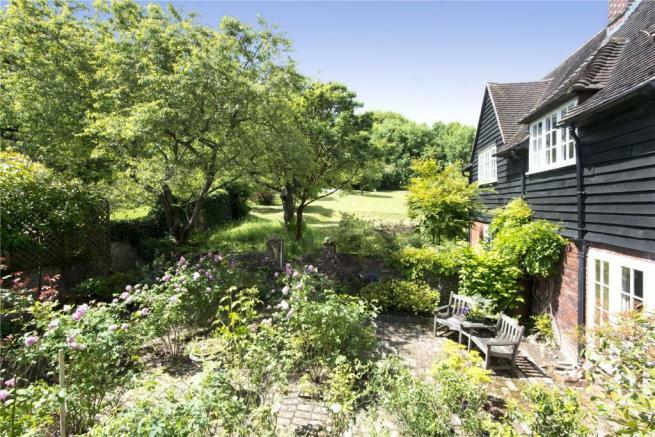 The well established gardens are a particular feature of the property and comprise areas of lawn with a central path flanked by lavender leading to the front porch. 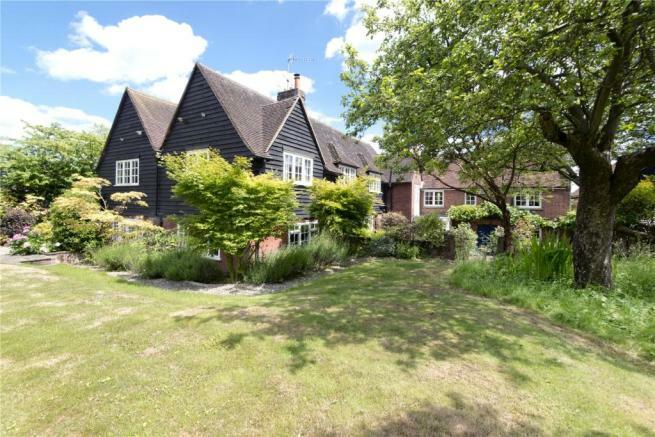 To the side of the house is a formal garden with box hedging and well stocked flower beds. On from here is a garden shed and former greenhouse with cold frames. A pedestrian gate leads to the rear garden which is principally laid to lawn with fruit trees, under planted with spring flowers and bulbs. 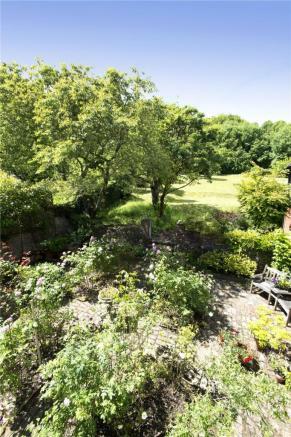 Adjacent to the rear of the house is a delightful courtyard garden with central rose beds. There is a detached summerhouse with exposed wooden flooring and power and light connected. The total plot amounts to about 0.7 of an acre. From junction 3 of the M25, take the A20 proceeding down the hill towards Farningham. Take the third exit at the roundabout and proceed into Farningham. 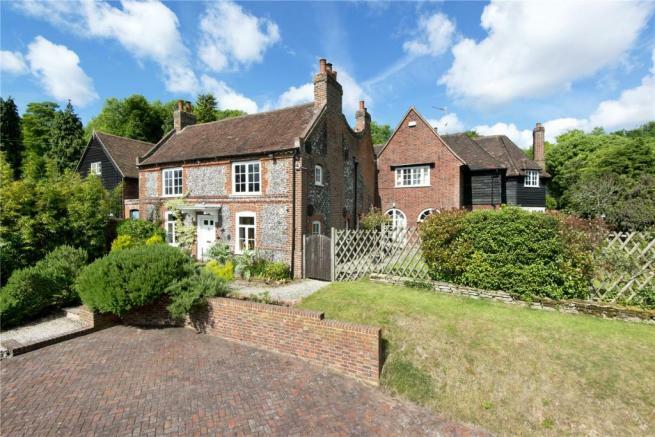 At the bottom, turn right into Farningham High Street and take the next left hand turning into Sparepenny Lane. Hampton Court House will be found shortly on the right hand side. Disclaimer - Property reference SES120421. The information displayed about this property comprises a property advertisement. Rightmove.co.uk makes no warranty as to the accuracy or completeness of the advertisement or any linked or associated information, and Rightmove has no control over the content. This property advertisement does not constitute property particulars. 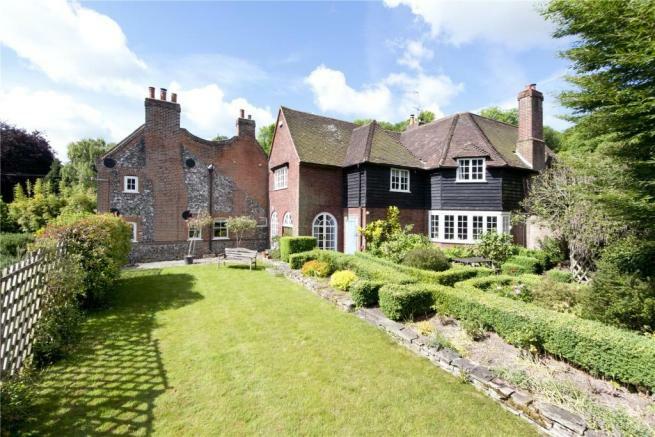 The information is provided and maintained by Savills, Sevenoaks. Please contact the selling agent or developer directly to obtain any information which may be available under the terms of The Energy Performance of Buildings (Certificates and Inspections) (England and Wales) Regulations 2007 or the Home Report if in relation to a residential property in Scotland.